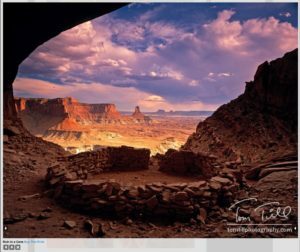 This past week the National Park Service (NPS) announced that they have closed access to False Kiva, an archaeological site in the Island-in-the-Sky District of Canyonlands National Park. 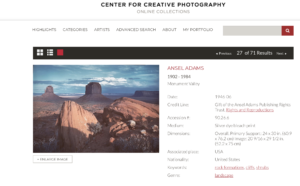 The closure stems from years of abuse that the site has endured from run-of-mill knuckleheads, hikers, well-intentioned photographers simply wanting to “repeat or clone” for themselves a photograph that photographer Tom Till first made several decades ago. I, for one, totally support the move, not only because of the aggregate damage being done, but also for all those photographers who flock there. 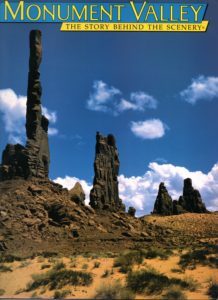 This is the Tom Till shot of False Kiva, made on 4×5 film, back in the 1980s. 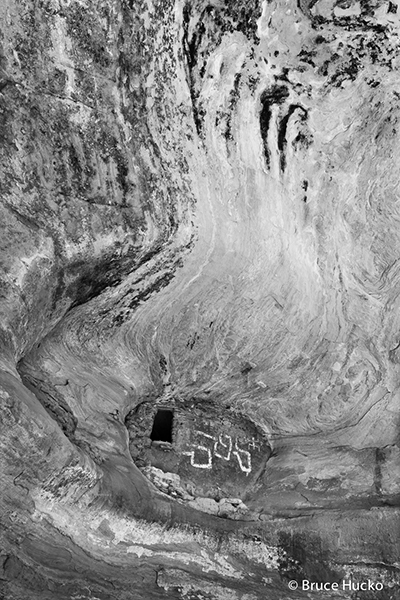 I remember going to False Kiva in the early 1980s with my friends Glen and Mr. Till. Tom had a view camera and I had a 35mm. Since it was the 3 of us, it’s very likely that Glen had been there before. Tom’s image became the image standard for this place. It was published widely . . . . . and I don’t fault him one bit. And then people started to figure out how to get there. Landmarks help you triangulate. 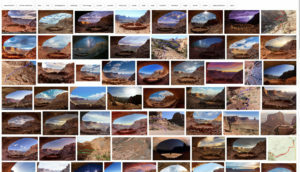 I’ve actually encountered people with calendars or Xerox copies of an image featuring False Kiva walking across and damaging the natural resources to get to the cultural resource. Not good! A while back the NPS decided that there was so much visitation to the site that they had to establish a “presence” there to let people know that eyes might be looking. That obviously did not intimidate some folks who would camp and evidently “party” in the alcove, move rocks and generally disrupt the environment. I’m glad it’s closed and I hope anyone caught violating the closure is fined heavily. But that’s not my priority reason for supporting the closure. 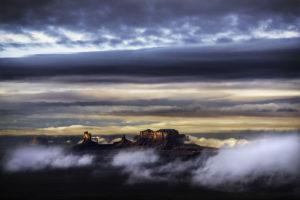 My real reason has to do with landscape photography and personal vision. There is a problem with landscape icons. 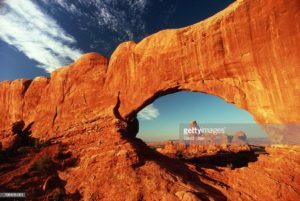 Usually, somewhere back in time, a pro like David Muench, Jack Dykinga, Guy Tal or the like finds an amazing composition featuring a well-known landmark such as the Mittens of Monument Valley, Delicate Arch, etc. makes the photo, publishes it and then the world descends on that spot to essentially make THAT photo. 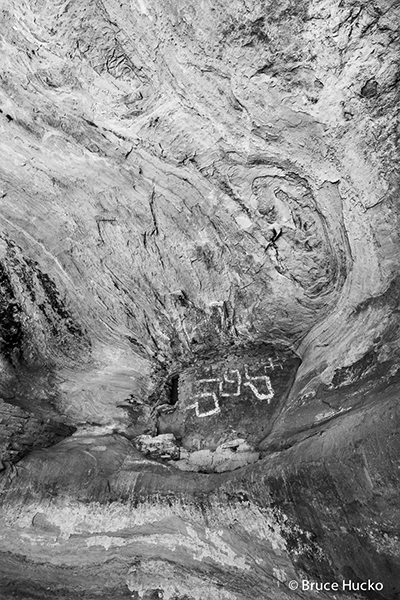 False Kiva is one of several Tom Till’s iconic area shots. Like a few others in the area the image was first made years ago and has simply been copied ever since. Back in 1972, David Hiser first photographed Turret Arch through North Window and Mesa Arch at dawn with the beautiful under-glow. People flock to these spots now. You practically have to take a number and wait in line at Mesa Arch. This is Hiser’s “FIND!” Turret Arch through North Window. Basically all you do is go to the spot, found via GPS, image downloads and other means, set up, and wait for weather and lighting to play her part. The essential composition has already been established BY SOMEONE BEFORE YOU! All you do is tweak it a bit and wait, maybe change focal length, over-slide your saturation or make it Black and White. 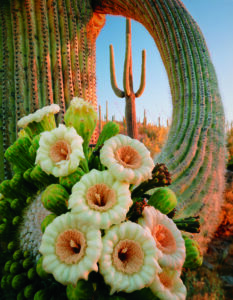 Oh to have such a personal relationship with a saguaro! 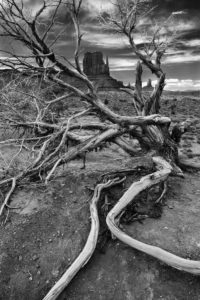 It also happens to much lesser-known landforms as is the case with one of Jack’s iconic photos with a certain, very certain, curved branch saguaro in bloom. People go looking for it and miss the beauty all around them. Archaeological sites are particularly prone to this behavior as excess visitation can lead to very real damage. I’ve seen published (but not located) images of my own cloned perfectly. It makes me wonder if the person spends more time looking at a pirated print of my shot to line things up than he does in actual communion with the place. The thing is, IT’S NOT YOUR SHOT! You are NOT BEING CREATIVE! Sorry, but not. You are not performing an original act. You’re cloning. Creativity – where fore art thou? It does not seem to be the same for landscape photography. 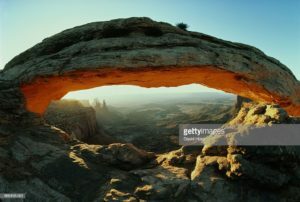 I type False Kiva into my browser and there appear pages of imagery, essentially the same composition, as well as a few maps and a video with directions. At one point in my career I would have been happy to have a few of these to call my own. I probably DO HAVE a few that are very similar, but the thing is, they never felt like a true, personal image of mine since my friend Tom made that first one, and so I let that place go and went looking for something I could call my own. That is why I applaud the NPS decision to close the site. Photographers! Be free of the chains of cloning! Go back up the trail, out onto the land and be original! Posted in Personal Reflections on September 2, 2018 by Bruce Hucko. Sometimes it just all catches up to you. I’m talking about feelings here, not f-stops. Over Christmas I spent 3 nights at Valley of Fire State Park (Nevada) camped in my cozy 12’ Aliner, a hard-side, pop-up trailer. I arrived Christmas eve and set up Saturday night just before it started pouring rain. 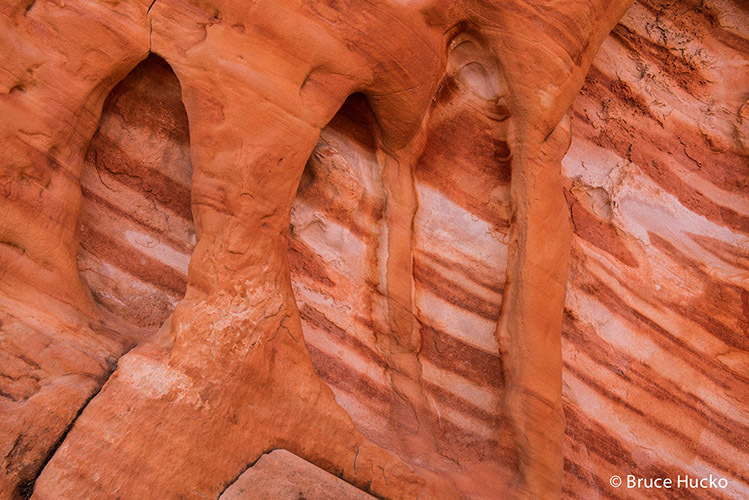 The east side of Valley of Fire is a mesmerizing swirl of colored sandstone cut by 5 different washes. A walk up any of them will make your eyes pop. I spent my first day, the whole day in wash #5. You’d think I’d have covered 10-12 miles, but I doubt I did 4, going up the wash and back, meandering side to side, unfettered, stopping here and there to photograph, to even consider a photograph for a lengthy bit of time. 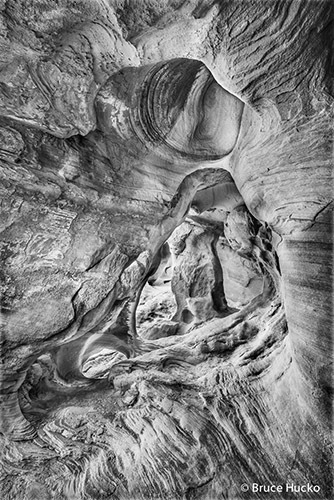 On the second day I paid a visit to David Muench’s little cave on the east side where he made the image that appears on the cover of his book ‘Windstone.’ I spent what I thought was the rest of the day roaming those same hills, looking in all the nooks and crannies, holes and caves. I felt the air chill about 20 degrees and thought that it must be about 4 pm, but returning to my truck I found it was only 1:30. I drove back to the east side and parked in lot #2, angled towards wash #3 and started my slow meander up. 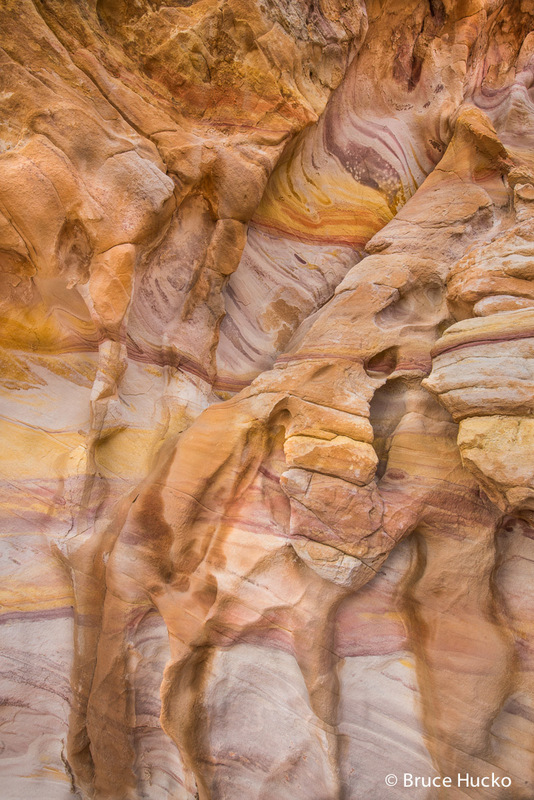 About an hour in I was on a side of the canyon where the stone is striped orange and vermillion. 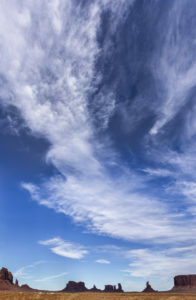 A few clouds had softened the scene, deepening the color and I found myself caught up in a great emotional flare. I turned slowly around, my eyes moist. Beauty seemed to be dripping from every pore of the land. What a feeling! It welled up quite strongly. Love? Solo anxiety? Fear? Old age? I do find myself getting a bit moist in the eyes far more often than I used to, but I’ve traced that sentiment to my work teaching children’s art in Moab. Kids will get under your skin that way. This was something different. It kept pulsing through me. I closed my eyes to center and discovered I was overcome with a powerful sense of raw beauty. Everything I love about photographing with nature was surrounding me. The forms, the lines, the light and mostly the color were all so very strong that I just had to sit. Looking back at this moment (that I hope repeats itself for me, for you, for a lifetime) I can see that up till then I’d been walking the wash whimsically making photographs. Then the elements came knocking at my door inviting me to experience them in raw emotional form. To meet them head on. To form a stronger bond and relationship with them. If we are not moved to tears by our subject from time to time then are we fully connecting? Are our subjects just pawns in the game of composition or do they mean more? I hope for the latter and while trying not to be to woo-woo here I personally do believe that engaging the landscape as you would a lover, a good friend or a trusted spouse (with all the joys and entanglements) will net you better, more personally meaningful photographs. I’d just been reminded of that again! I sat for a few minutes longer and took out my little notebook that I used to jot down words and ideas as I walk, cause you know some of the best ones are like leaves falling from a tree; if you don’t reach for them out of the air the pass you by. I started making a list of what I see when walking for photography. Let me say that I don’t go ‘looking for’ this and that, but instead plant in my head some thoughts, ideas, etc. that I may later recognize in nature as equivalent. 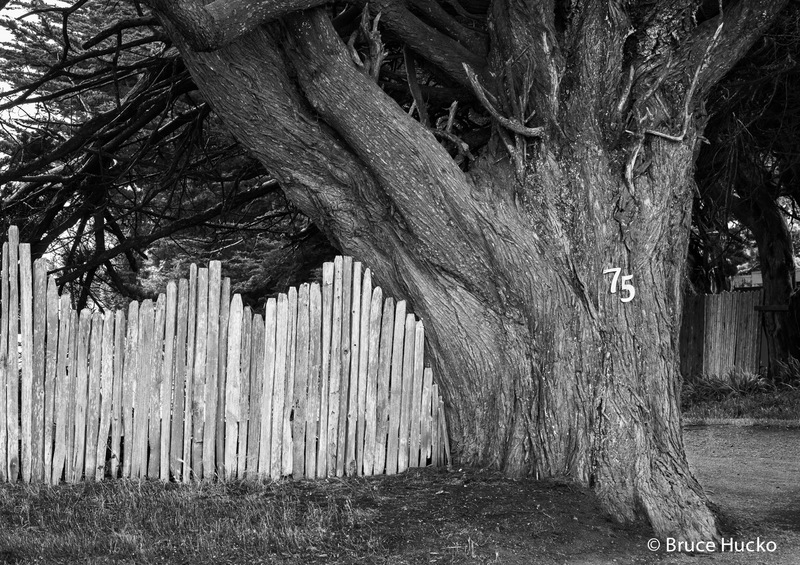 The most meaningful photographs I make are those that contain a balance of internal and external landscapes. The internal landscape is one of emotions and ideas while the external landscape contains the raw material of rock, plant, sky, water, light, etc. I employ elements of the external landscape to reveal my internal landscape. My word list included: sinuous, drape, winsome, meander and more. With a chuckle I pretty quickly connected “Weeping Beauty” and wrote that down. That pretty much said it all for me. The land was weeping beauty. 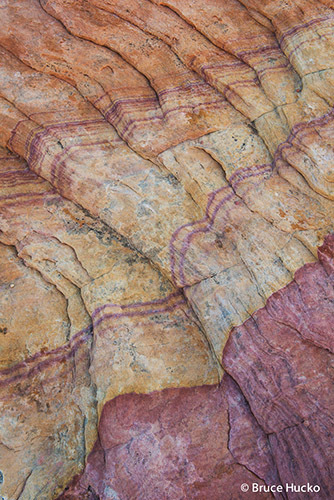 After my “break,” l looked around and followed a glimpse of purple and yellow stone to where the image Weeping Beauty was revealed. How amazing that I could be putting those words together not but 5 minutes before and then take no more than 30 steps to make an image to match them. What a joy! So here are a few samples of what I walked away with on that trip. Most of them wanted to be color, but I threw in the one B&W for good measure. There’s more in the gallery section of this website. Go to: Go West Young Man/Valley of Fire. And may you always be warmed by the fire of your photography! Posted in Personal Reflections on January 1, 2017 by Bruce Hucko. In anxious anticipation of our good President Obama designating a Bears Ears National Monument here in southeastern Utah (specifically San Juan County) I’ve been visiting some old friends. Over Labor Day weekend I revisited two archaeological sites that are dear to me. What? You want the names and locations? Sorry, this is not about that. 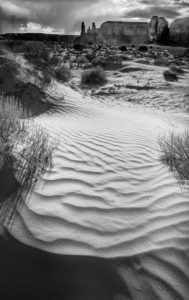 I have enjoyed making photographs of archaeological sites in this area since the early 1980’s when I first really explored Cedar Mesa. 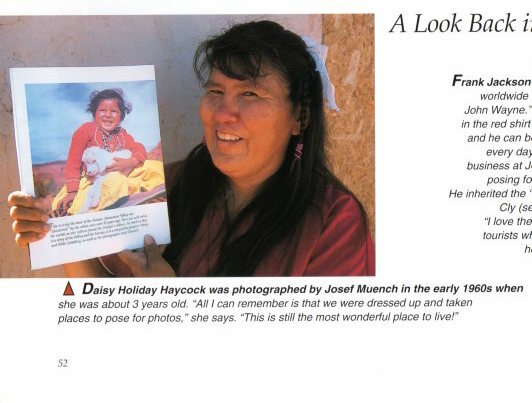 I was living and working on the Navajo Reservation in the Utah town of Montezuma Creek. This made Cedar Mesa my default backyard. 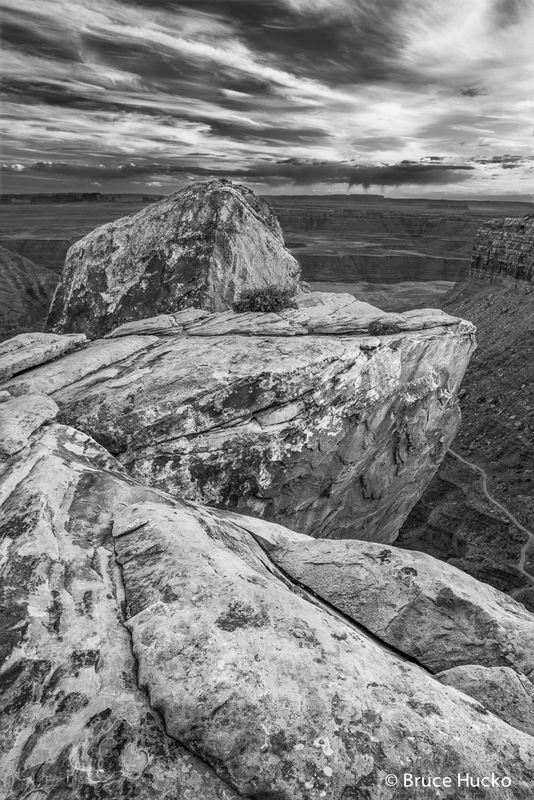 The Needles District of Canyonlands was 1.5 hours further north and Moab was beyond that. 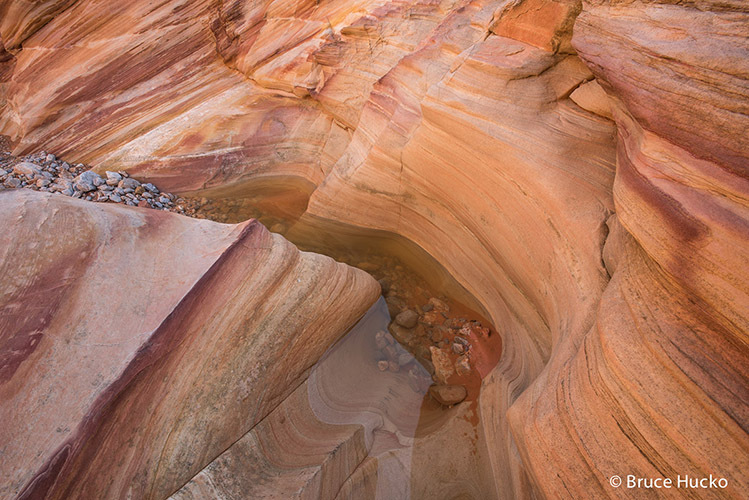 At first I was lured in by the deep canyons and mushroom rocks at canyon heads and rims. It did not take long for me to become enthralled by the vast array of archaeological sites. 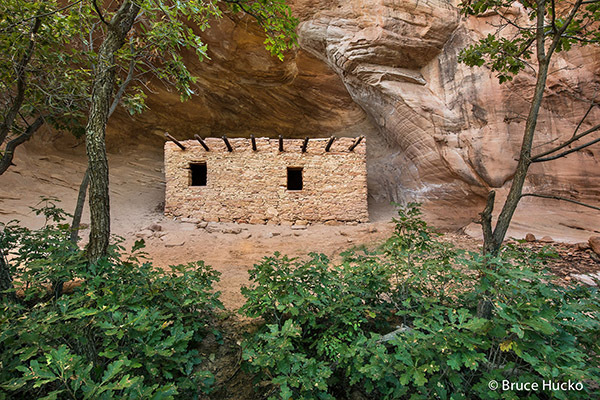 Dwellings, granaries, towers, kivas, lithic scatters, stone kilns, and, of course, rock art. All of these and more became part of my weekend walking vocabulary. I was already photographing when I arrived in Montezuma Creek at the age of 24. 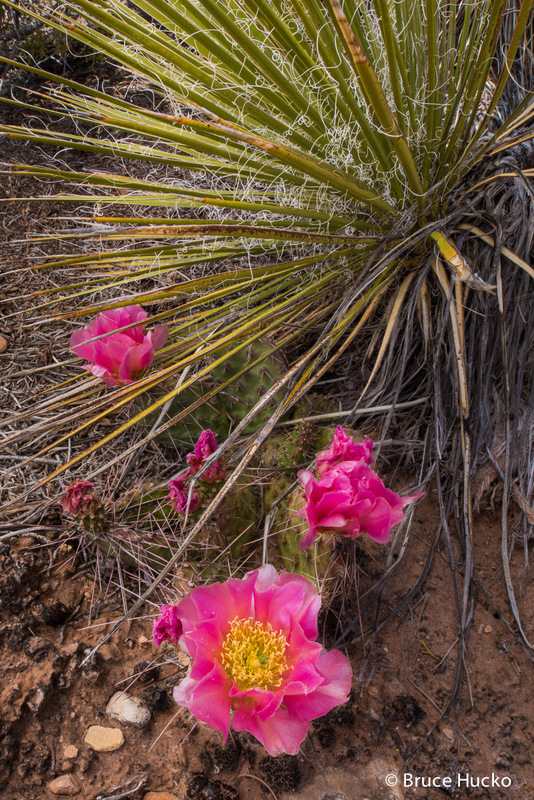 I had a dream of becoming a ‘national park photographer’ and though I have essentially done that having created interpretive slide shows for Organ Pipe Cactus NM and Arches NP (now gone), that early and innocent outlook did not prepare me for the depth of feeling and commitment that was to develop toward this particular subject. 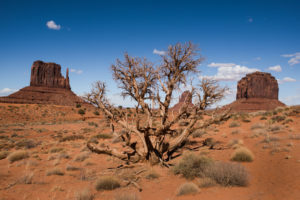 As I wandered the canyons alone and with friends I began to feel something I had not when traveling to farther locations like Yellowstone, Zion or the Grand Canyon. It was there in the Needles District, the Maze, Escalante and even Capital Reef, but not this strong. It took a few years for me to acknowledge what it was. Home, to me, is a place, not an address. This is a concept I learned best among the Navajo. Cedar Mesa was my backyard and for the past 30-40 years I’ve been exploring it as often as I can. I need more time, but it seems that time is running out. Cedar Mesa and the surrounding landscape are being overrun by people, by us – for lots of reasons. Some people come because of stringent and enforced group size and camping limitations found in the national parks. Some are after something new and have been bitten by the ‘rock art and ruin’ bagging bug. Others see this vast landscape of BLM and some NFS land as an open playground in which to ride their motorized road maggots (atv and ohv)…….oh, I’m sorry – not! Labor Day. 2016. I was pleasantly surprised to NOT find too many people on the Bears Ears or Cedar Mesa. I assumed it would be packed. I camped high and visited the two sites taking my time and allowing the visits to last for hours. 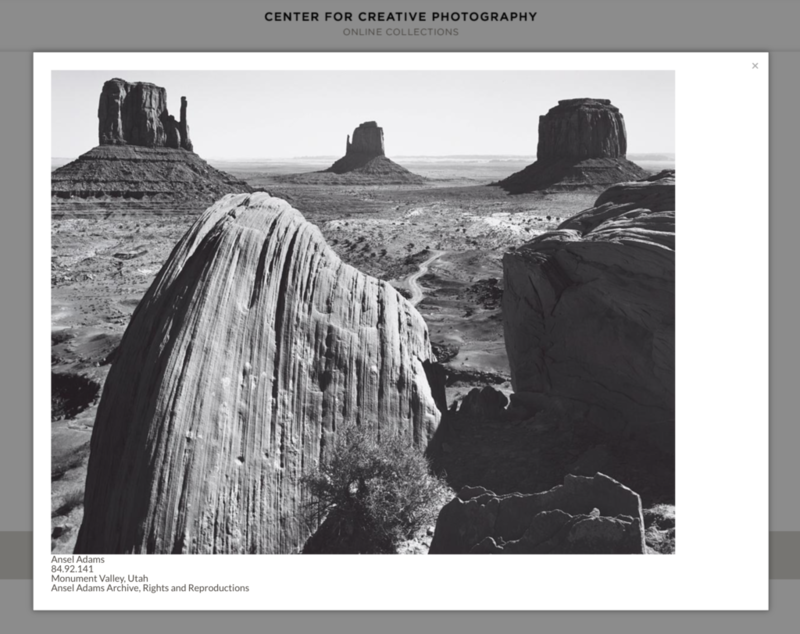 There is much creative compositional insight that can happen if you give it time. I made but a few photographs (5-7) at each site, but stayed at each for about 4 hours. At both I made an initial “gut” photo, then laid my gear down and just sat absorbing the sounds of the canyon, the light, and re-discovering the nuances of the rock, both the natural and built environments. One of my attractions to this subject is finding a balance between the geometry of the built environment and the natural poetry of place. My seeing has been enhanced by years of large format photography where the image is inverted on the ground glass. Among other considerations the inverted image helps us to erase ‘nouns’ from our mind’s eye and encourages and almost requires us to see in the visual language of line, shape, balance, etc. If an image “hangs together” in inverted form you can be assured that you have a strong working composition. Try it; you’ll like it, Mikey! I’ve made two dozen or more other images at these sites over the years, but these recent ones seem most satisfying, not out of technical consideration, but that I considered them for a longer period of time and let them work their magic on me more than I sought to work any magic I might possess on them. The musician Mary McCaslin has a great song titled Old Friends. “Remember old friends we’ve met along the way, the gifts they give us stay with us every day.” I think of the Cedar Mesa region this way, and it’s the reason I’m trying to be a good friend and give back by being involved in its protection. I’m convinced that a national monument is the single best choice for the region and that’s why I serve as vice-president of Friends of Cedar Mesa. Posted in Personal Reflections on September 25, 2016 by Bruce Hucko. 2016 marks the 100th anniversary of the National Park Service and this past Thursday, August 16, was the actual date. 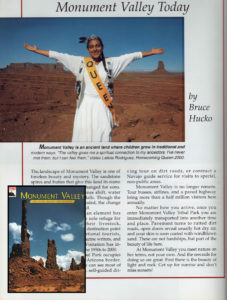 Here, in Moab, we’ve been celebrating for a while. 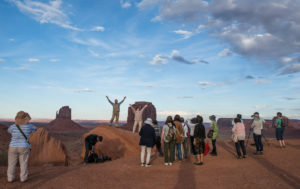 2014 was the 50th anniversary of Canyonlands National Park and I had the privilege of creating a 3-program set of radio features on the park and its founder and first superintendent Bates Wilson. And besides, when you live in Moab, you pretty much live in the parks so every day is a celebration. The birthday headlines caused me to reflect on my relationship to the parks. There are three of profound significance – family camping trips, home, and KC DenDooven. YOUTH. I was raised on family camping trips in the national parks. 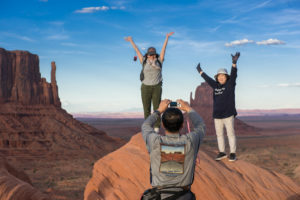 When we three kids grew just large enough our family would take the annual prescribed 2-week summer vacation from our Salt Lake City home and visit the national parks. With our 1955 Chevy loaded with our Coleman everything (tent, stove and grill, lantern, and Dacron 88 sleeping bags with duck scenes on the inside) we’d either head north to the Grand Tetons and Yellowstone or turn south for Zion, Bryce and the North Rim of the Grand Canyon. On occasion the parents would get a wild hair and we’d go all the way to Glacier, coming dangerously close to visiting my mom’s siblings, and then we would much to my father’s chagrin. We once went to Mount Rushmore and several times visited Rocky Mountain NP. Those were great days. We saw all the sights. Rangers would check our camp at night and we’d invite them in for hot chocolate……….and they’d stay! We saw wolves, bears, bison, mountain goats, deer, moose, elk, squirrels, and at 14 I saw my first bare-breasted woman walking down a trail in Rocky Mountain NP! Dad quickly scattered us into the forest where we nearly got lost trying to avoid the natural wonders awaiting there! HOME. The camping bug bit hard then and has never let go. 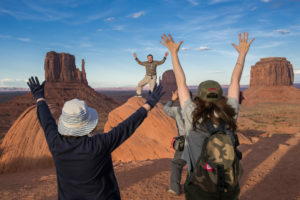 While most of my high school friends involved themselves with football and debate, I took to backpacking, first with a few of my errant Lutheran boy scout troop buddies and later on by myself and with my long-time Moab buddy Glen. Trips became more and more epic and we were not limited to the national parks. When it came time for me to move out of Salt Lake City I tried to find work in Moab, but didn’t. 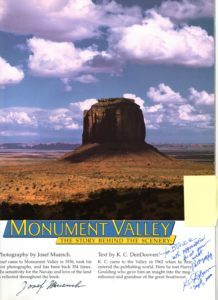 Serendipity played her hand and I moved to Montezuma Creek, Utah to teach in a Navajo school. Ten years later I bought the house that became my home in Moab, moved to Santa Fe for 9 years and returned to stay in 1999. This is home……well, almost. If I could up and move my little home to Squaw Flat I’d be content to live my years out there without ever going anywhere else. 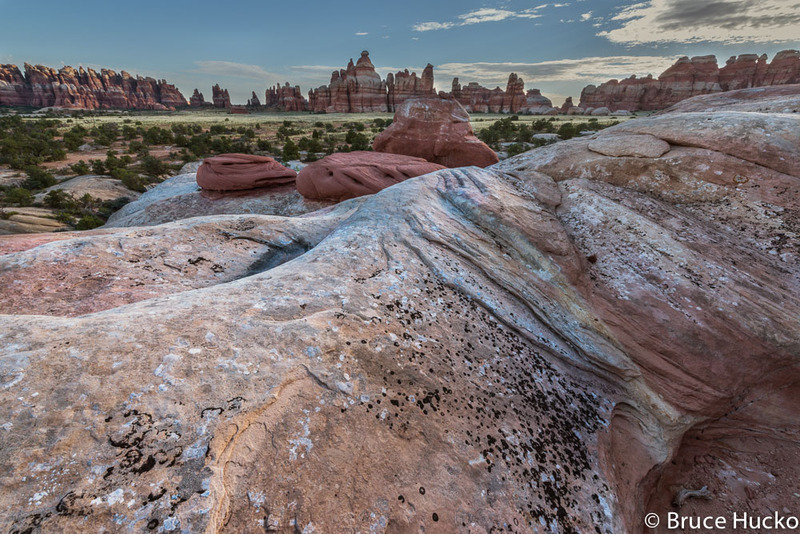 The Needles District of Canyonlands and its sister, Cedar Mesa, are my refuge. Home is not a numbered address but a state of being. My “immediate” backyard runs for 250 miles in all directions! That is essentially the mission of the National Park Service. It is a mission that we can cherish and participate in. 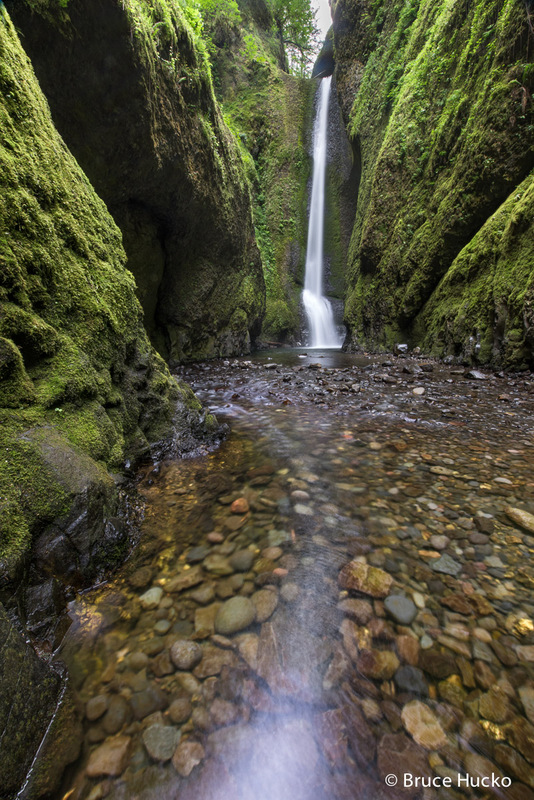 The national parks are subject to issues of budget, management, diversity, development and divestiture. They are threatened politically. At the end of the day, though, they still take our breath away. Happy Birthday National Park Service! You’ve given me a sense of place, a sense of self, a home in the homeland and friendships that will last a lifetime! And thanks to you as well KC – you are the first two-legged, living, walking, scuba-diving national park! Posted in Personal Reflections on August 28, 2016 by Bruce Hucko. I’d like to begin this experiment in verbal discourse about a visual subject by talking to a subject that, for me, lies at the heart of what we do. I believe that how we think and speak about our work determines how we perceive and go about it. Therefore I believe that we need to think about and change the language of our medium. May I “take” your picture? I’m going to “take” a picture of that mountain. Take suggests that you are acquiring something that is already made or completed. In my mind it is dangerously close to steal, possess without permission, or worse – to gain control over something that you did not exert any energy in creating. The definition of the verb is “to lay hold of something,” “to get into one’s possession, power or control,” “to seize or capture,” or to “carry or bring.” Synonyms include get hold of, bring, bear, transport, convey, transfer. Nothing in there references the creative process. Those who know me, especially via the Moab Photography Symposium, know that I promote the term “make.” Let’s go make a photograph. Or we could simply replace take with “Let’s go photograph.” The root of photograph is “light-drawing” which suggests the action of drawing. Drawing requires a combination of intently perceiving, thinking, talking to oneself, visually measuring to calculate placement of objects, tones, etc. on the paper, adjusting, selecting what to include and exclude and a host of other active decisions. The verb form of “make” is defined as: form something by putting parts together or combining substances; construct; create; to cause something (in our case an image) to exist or come into being. Synonyms include construct, build, assemble, produce and form. Is this not what we do? 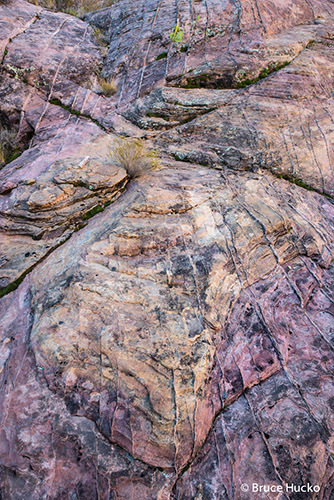 When we are out for a hike and come across an interesting landscape subject we start assembling an image in our mind, we start working the scene by moving slowly to begin finding the best position and angle. As we gather objects before our eye and placing them in our composition by adjusting our position and selecting the tools (lenses) we want to use, we also turn to our inner landscape to gather our thoughts and emotions that in some fashion match the forming external scene. We keep honing in on the juncture of the external and internal landscape. I view the process as having a conversation. 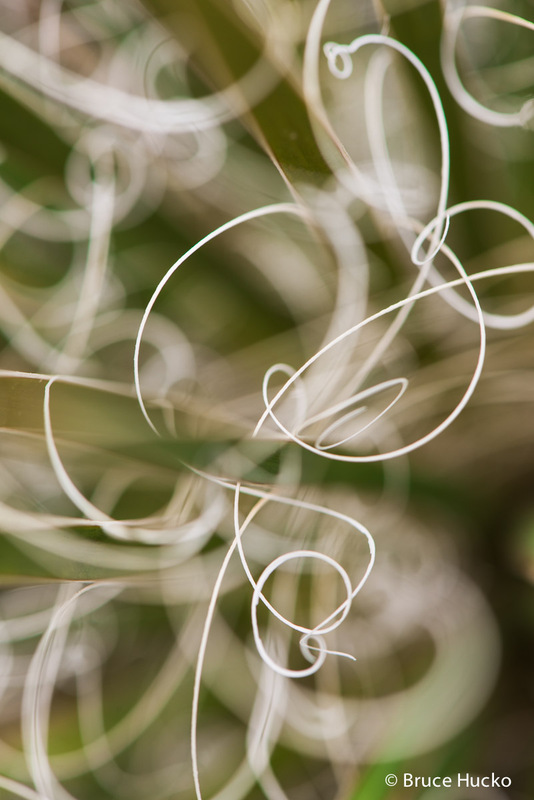 I employ objects in the natural world to help express thought and feelings from my internal landscape. I listen quietly and intently to what the elements in both landscapes saying. Sometimes they shout with glee. At other times they whisper. We set our final composition. We set our camera functions and re-check the firmness of our tripod. The shutter is triggered. We go home and re-enter the process of bringing the image into being via post-processing, printing and sharing. All along the path of creativity we have engaged with our subject, with our equipment, with ourselves. We have “taken” nothing….for granted. We make photographs. The other word that needs replaced is “shoot.” I’m a pacifist. I get the jitters when I see children making a gun with their folded fingers and pointing them at a friend. With a gun we “shoot” and “take” a life and there is far too much of that happening in the world today for me to be comfortable using that term in the beautiful and personally sacred creative act of expressing the beauty of self and the natural world with a camera. “Shoot” implies an element of speed – the force of a racing bullet, and a target. A target is usually outside of us – a deer to feed the family, or antlers to hang on the wall – an avowed enemy who is training his weapon on us – the person shot in the act of self-defense outside of a military conflict, or the innocent victim of a robbery or murder. Do we now hold the gun? I guess I’m influenced by too many western movies, spy novels and murder mysteries, and the constant barrage of TV shows and video games that advocate, highlight and celebrate gun violence, not to mention the ongoing headlines of shootings in many cities in America. My photography is a refuge from all of that. In stark contrast to “shoot” in the aforementioned environment is the use of “shoot” to describe the fresh growth of a new plant as its young, slender form just emerges from the nurturing soil. New life. New life full of possibility that will eventually grow, blossom, flower, seed and even provide sustenance to animal, human and even its own kinds as it completes its life journey. The most common uses of “shoot” have far too many negative overtones for me to want to infect my creative process by using it. I prefer my photographs to be considered, thoughtful and usually paced a bit slower than a speeding bullet. To “make” a photograph takes considered time. Photographing invites a more lyrical and poetic approach to image making. 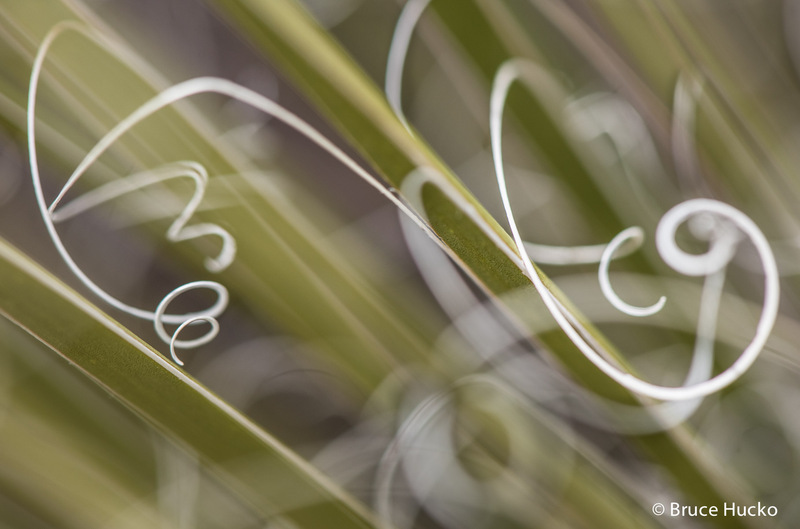 Drawing with light takes time and the “target” is internal – it is ourselves. Let’s honor the entire process and MAKE photographs! Posted in Personal Reflections on August 27, 2016 August 28, 2016 by Bruce Hucko.